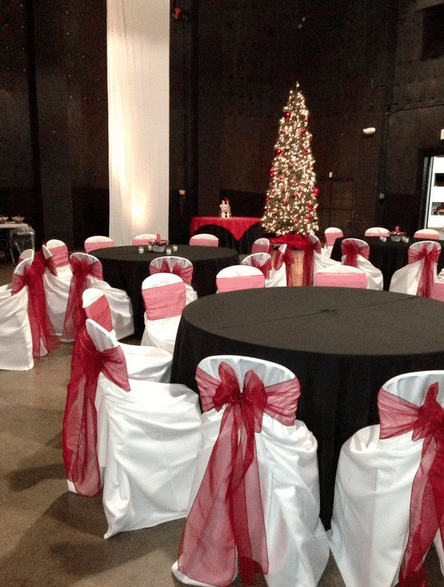 In the midst of Holiday parties last year we had the pleasure of working with the Workplay team to celebrate Courtney’s Sweet 16. 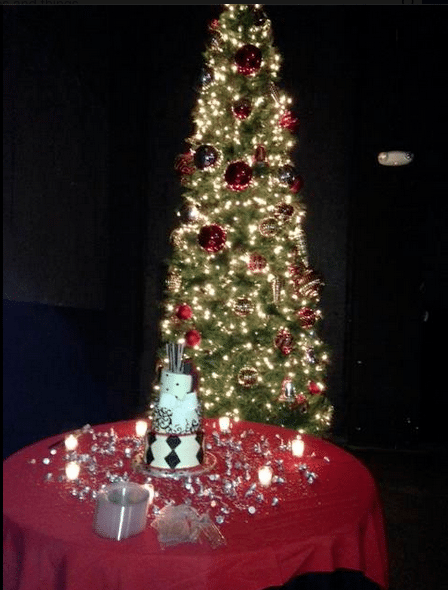 It was the perfect day for her celebration! She spent the afternoon getting her hair and make done with her friends, in the Green Room, while we transformed the Soundstage. 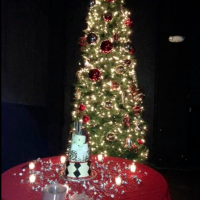 A Christmas themed birthday party, complete with the Workplay Christmas tree. 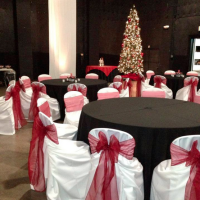 For the tables we used black linens and on the chairs we used white chair covers with peppermint organza sashes. What Sweet 16 would be complete without a new car? Courtney was so surprised when the loading doors opened and her new Nissan 350Z rolled in!